There aren’t many weeks between now and Christmas. Hard to believe I know. Christmas is a hectic time of year for everyone – even the list-aholics amongst us. It can be tricky to keep track of everything that needs to be done, from customer orders and enquiries to all our own festive plans this season. Well now is the time to get ahead of the game and get some planning done before things get too busy. The checklist below covers many of the big and small things you can do to get ready for the additional bookings and orders that this time of year can bring. Now is the time to start preparing your business for the Christmas rush – one festive job at a time. Make sure your calendar has all the major holiday days marked as well as all the important shopping dates. You want to be able to take advantage of them. Also, it’s important to know when the last order dates are for the labs you are using, as well as the traditional snail mail. Not sure when they are? All the closing dates for our partner labs and Royal Mail are listed here! 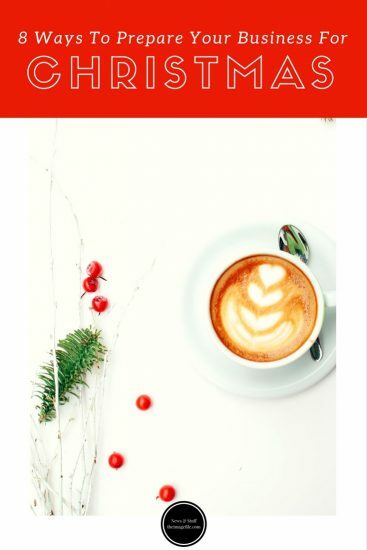 Of course, you don’t have to market your business for all of these dates (some might not apply or work for you), but keep in mind that these dates are, obviously, prime times for you to do a bit of Christmas purchasing for yourself. Make sure you know all the details of the products, services and offers you are currently displaying, as well as any items you are planning to list later on. Does your business look solid and complete? Is there any information missing? Now is the time to make any final adjustments. Rather than flooding your text areas with hundreds of keywords (which the search engines will consider spamming), try to use them strategically and with a purpose. The search engines like to send visitors to websites that provide useful and high-quality content. One of the easiest ways of providing your customers with great content is through a blog. If you haven’t already got a blog, it’s very quick and easy to set one up through theimagefile by going to Control Panel > My Website > Create Web Page and click the page title “WordPress Blog”. Improving your web page loading speed is another way of appealing to search engines. One way of improving page loading speed is by saving your images using the “save for web” tool in Photoshop or other image editing software. Titles and headings are also great for search engine optimisation. Why? Firstly, they are one of the easiest and quickest ways of formatting your content so that it is easy for visitors to skim and find the relevant content to them. Secondly, search engines rate keywords found in titles and headings more heavily, so make sure those important words are up there. By formatting your content, it instantly improves the readability and usability which means that your customers are more likely to stay on your website for longer and revisit your web pages in the future, which the search engines love to see. If your portfolio is looking a bit stale, or perhaps you’ve been meaning to add some new images but haven’t got around to it, now is the time to make some changes. Spend some time revamping your slideshows and web pages so that revisiting customers notice a difference. This doesn’t have to be a complete site overhaul, but even changing the order that images display can make a big impact. Adding some seasonal cheer to your website can really encourage customers to book and buy. You can easily add a festive look to your website by downloading our Christmas page sets. There is even a small script that you can add to your website to show falling snow on your web pages. At Christmas, everyone is looking for gifts so make sure you are offering products or services that appeal to shoppers. Offer items that would appeal to all types of customers, such as items that have a lower price point (e.g. keyrings and fridge magnets), a sentimental angle (e.g. canvases and photo books) or have a broad appeal (e.g. Christmas cards and thank you notes). Now is the time to map out how you are going to get your business out there over the Christmas season. Some tips are to share your promotions on all your platforms including your website, email campaigns, social media platforms and blog. 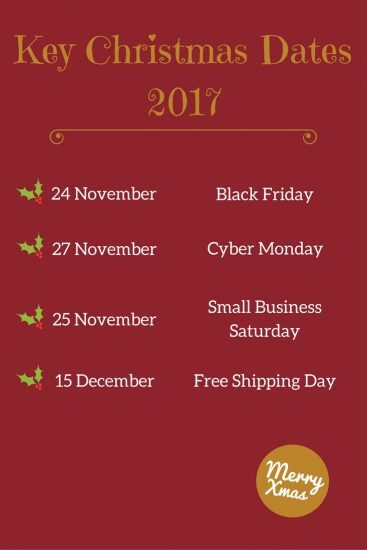 Plan out any promotions you’re planning on running for Black Friday, Cyber Monday etc ahead of time. If you don’t know where to start, take a look at our 10 tips to ensure you have a successful Black Friday. The best way to stay on top of your to-do list is to schedule them into your day. Keep track of your progress and how customers responded to your business. This will save you a tonne of time next year too. Preparing Your Business For Father’s Day The Ultimate Christmas Checklist For Your Business Mother’s Day Page Sets 2017! Christmas Page Sets 2017!